Here is a lovely little ditty (filled with funky beats and fun roller skating moves) from my homeland; Aotearoa (land of the long white cloud) AKA New Zealand. Today I am feeling the last of the summer sunshine goodness and getting a mountain of personal emails cleared from my inbox, listening to the catchy stylings from talented kiwi band: Tahuna Breaks. I urge you to enjoy this with a nice cold bottle of beer, a cool glass of sav, or a warm cup of tea on your front step while incense burns in the lounge at the other end of the house and the afternoon sun hangs lazily in the sky. Put on your favourite pair of sunnies and invite a friend around, or call one you haven’t spoken to in a while. Put it on in the background while you do all of these things. Happiness guaranteed. Is that a cicada singing along in the distance? Summer is on it’s way, NZ. MOSTLY, watch the video first and soak in how much fun they look like they’re having; skating around Auckland’s central streets. PS How much brownie is too much brownie? 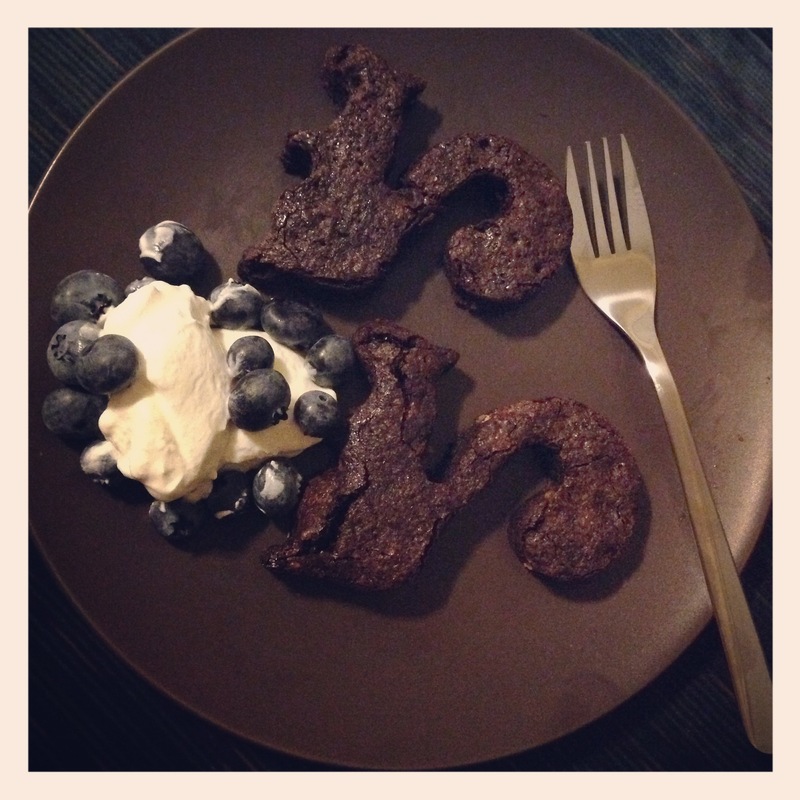 Last night I baked a batch of Glutino brownies and cut them into squirrel shapes to enjoy with plain greek yoghurt and the last of the local blueberries. This entry was posted in every day life. Bookmark the permalink.